The heart needs its own supply of oxygen-rich blood to pump blood to every part of the body. That pipeline is provided by the coronary arteries. No wider than strands of spaghetti, these arteries deliver blood to hard-working heart muscle cells. 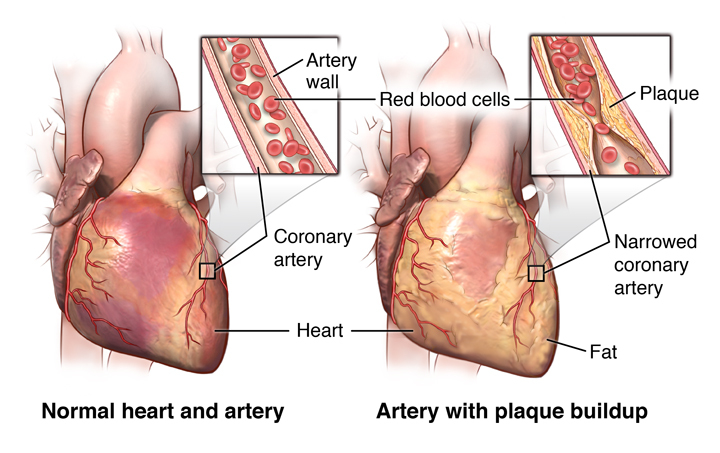 A heart attack occurs when blood flow through a coronary artery is suddenly blocked. A blood clot can block flow; so can a sudden spasm of the artery. The most common symptom of a heart attack is chest pain, usually described as crushing, squeezing, pressing, heavy, stabbing, or burning. The pain or feeling tends to be focused either in the center of the chest or just below the center of the rib cage, but it can spread to the arms, abdomen, neck, lower jaw or neck. sudden weakness, sweating, nausea, vomiting, breathlessness, or lightheadedness. If you think that you, or someone you are with, is having a heart attack, call 108 right away. The sooner you call, the sooner treatment can begin .The most effective treatments are artery-opening angioplasty with stent placement or an infusion of a clot-busting drug.